LEAKSSuite este un site despre pierderile de apa care ofera gratuit informatii foarte valoroase, studii de caz, prezentari si lucrari publicate sau sustinute la diverse evenimente internationale de catre experti in domeniul pierderilor de apa. Allan Lambert este persoana care a creat acest site special pentru a distribui informatii gratuite persoanalor interesate de managementul pierderilor de apa. Recent revista WWI – Water & Wastewater International în numărul din decembrie 2015-ianuarie 2016 a făcut public un top al celor mai influenţi 25 de leaderi din sectorul de apă, printre care se afla si domnul Lambert. In ultimele 6 luni impreuna cu Michel Vermersch, Fatima Carteado, Alex Rizzo, Edgar Johnson si Paco Arregui au produs un ghid privind pierderile aparente impreuna cu 9 Anexe. Aceste documente se gasesc desigur pe siteul leakssuite de unde le puteti descarca si aprofunda. Accesati aceste linkuri pentru a vedea materialele. An Overall Dynamic Approach in Water Loss Reduction. Michel Vermersch is an expert in the management of water, sanitation and electricity utilities, as well as in corporate engineering for water and wastewater services. He is also a recognized specialist in the diagnostics of network yields and in reducing water and energy losses. Michel has worked for over 50 years in the urban water sector in Europe (8 countries), Africa (26), Asia (13), Latin America (10), the Middle East (3) and Australia. After working for 15 years in Water Utilities for the Suez group early in his career, he focused during the following ten years on the study of water supply systems. Based on this experience at both the practical and theoretical levels, he has specialized in the past 20 years in providing technical assistance to water utilities all around the world. He has developed specific expertise in reducing technical and commercial/apparent water losses. He has implemented more than 60 urban programs to reduce water losses, particularly in Sao Paulo, Buenos Aires, Macau, Phnom Penh and Chongqing. Michel has been one of the leaders of the IWA Working Group on commercial/apparent losses (Apparent Loss Initiative). He has been a lecturer on NRW for the UNESCO-IHE in Delft and, presently, for the International Executive Master “Water For All” at the AgroParisTech Engref Institute in Montpellier (France). Dr. Ing. Alex Rizzo: Main fields are in vocational education & training, small business strategy, alternative technologies and integrated water resource management, with some 30 publications to date. Alex has been responsible for the implementation of a number of national technology-based projects over the years, such as the efficiency enhancement of the national potable water infrastructure. Alex presently acts as Head of University College at the Malta College of Arts, Science & Technology (MCAST), and was previously its Director for the Institute of Applied Sciences. Alex’s key areas of expertise are in water loss strategies and integrated water resource management; vocational education/training; and business strategy. His key professional achievement is the implementation of a national water loss control strategy in Malta, resulting in a leakage reduction from an ILI (Infrastructure Leakage Index) of 10 to an ILI of below 3, with a national leakage reduced from 3,000m3/Hour to 600m3/Hr. Alex holds the following affiliations: Fellow of the Chartered Institution of Water and Environmental Management and a Chartered Water/Environmental Manager; Fellow of the Institution of Engineering and Technology and a Chartered Engineer; Fellow of the Chartered Management Institute and a Chartered Manager. Edgar Johnson is a professional engineer with more than 35 years of international experience in water management. His education combines a Doctor of Technology (Water Engineering) with a commerce degree, providing him with unique insight into the full range of utility system practices. He has contributed to the development of national standards and guidelines associated with water loss management, efficiency and metering and published more than 30 articles/papers/research books related to the field. His experience includes the successful development and implementation of projects during the severe droughts and water shortages throughout Southern Africa and Asia in the 1980’s through to 2000, as well as during the millennium drought in Australia (2001-2009). His involvement with the International Water Association’s (IWA) Water Loss Specialist Group included leadership of its non-revenue-water apparent loss (AL) initiative and he currently provides related papers for inclusion on the LEAKSSuite website. Francisco (Paco) Arregui is an industrial engineer holding a PhD degree with specialization in urban hydraulics. His PhD dissertation dealt with new strategies for water meter management. Following this, for more than 20 years, he has worked as an associate professor, researcher and consultant on urban hydraulics and water metering projects. His work involves cooperation with different international water companies in highly specialized projects aimed to reduce commercial losses. He has also been an active member of IWA Water Loss Specialist Group since 2004. Guidance Notes on Apparent Losses and Water Loss Reduction Planning 13 septembre 2016 77 His expertise in urban hydraulics includes the following areas: water meter optimization and management, residential water demand characterization, water demand management strategies, software development (water meter management tools, water demand characterization, water hammer calculation …) and statistical analysis of inflows to water distribution systems. Francisco is the main author of IWA’s book “Integrated water meter management” which is a comprehensive reference providing technical information on water meter technologies and strategies to improve water meter management. Allan has over 50 years’ UK and international water industry experience, split equally between Water Resources/Hydrology, and NRW management, in more than 40 countries. 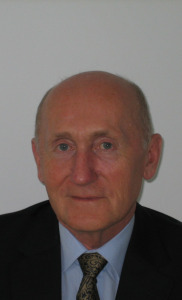 A Past President of British Hydrological Society, and special advisor on water resources and leakage to House of Commons Environment Committee in the 1995-1996 UK drought, he developed Component Analysis (Background & Bursts Estimates) when Technical Secretary to the UK National Leakage Control Initiative (1992-1994). He chaired the 1st IWA Water Loss Task Force (1995-1999) which developed the Best Practice IWA Water Balance and Performance Indicators. A Fellow of IWA and C.I.W.E.M, he has researched benefits of pressure management for almost 20 years, and is recognised as a leading international authority in leakage management. In 2013, Allan converted his LEAKSSuite website into a non-commercial source of easily accessible free information on effective water leakage and pressure management. In 2015, with several leading Apparent Losses experts he created an Info-Hub on Apparent Losses where these Guidance Notes and 9 Appendices, and numerous other papers on Apparent Losses are available to all, free of charge http://www.leakssuite.com/apparent-losses/outreach-app-loss/ .